Here's a new door mesh that I hope you guys will like. 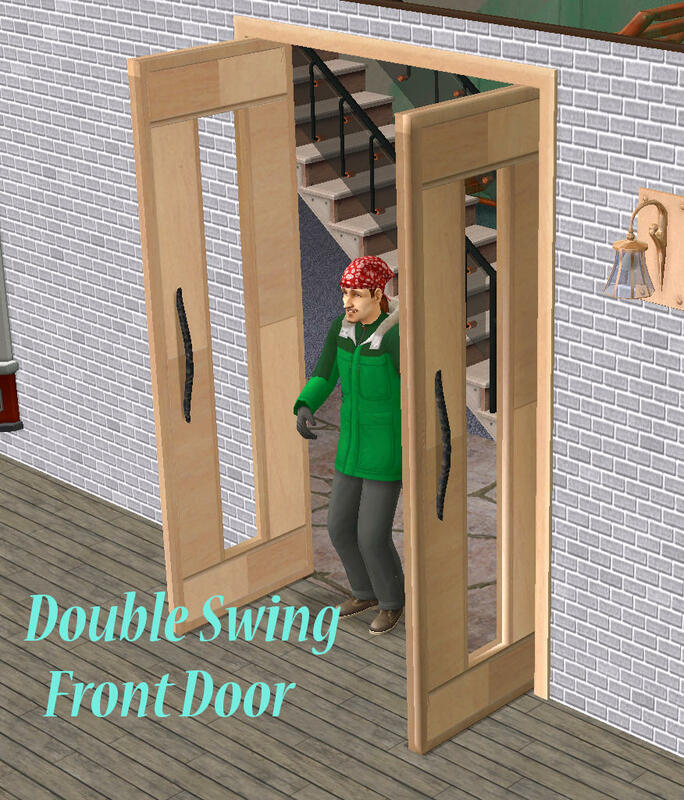 I'm calling it the Double Swing because it animates both doors at the same time when your Sim approaches to pass through. Seriously, what's the point of having a double door if the game only lets you use half of it at a time? 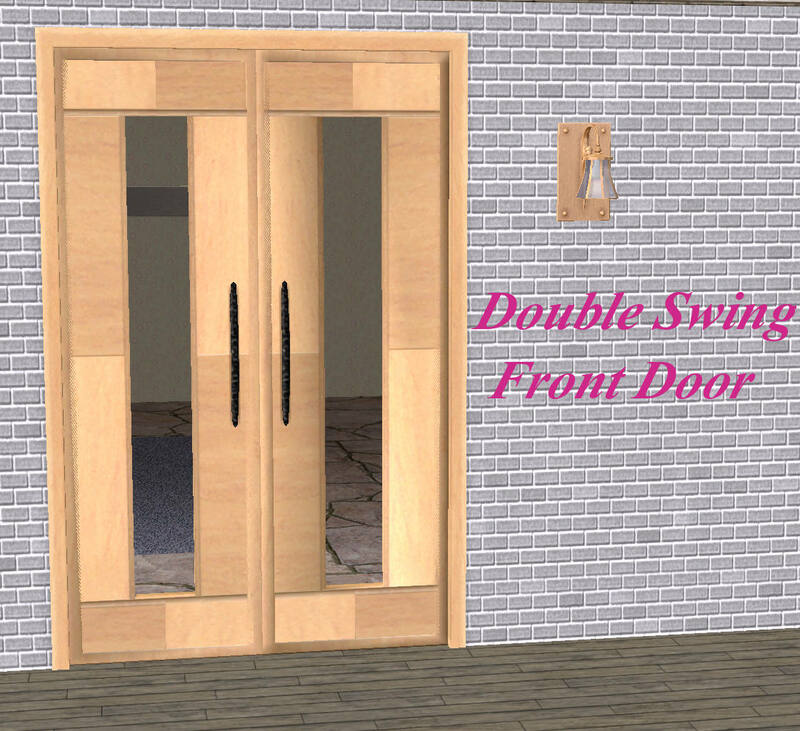 These doors are also placeable on diagonal walls. I owe leefish a huge debt of gratitude for her generous help and guidance in getting the animations for this door to work. That, and all the cool doors and bookcases she's made over the years that inspired me to get 'under the hood'. Since this is a repositoried object, there are no textures in the object itself. All pictured doors in this post show EAxis textures with the exception of the glass recolors. These glass textures were made with GIMP and SimPE. 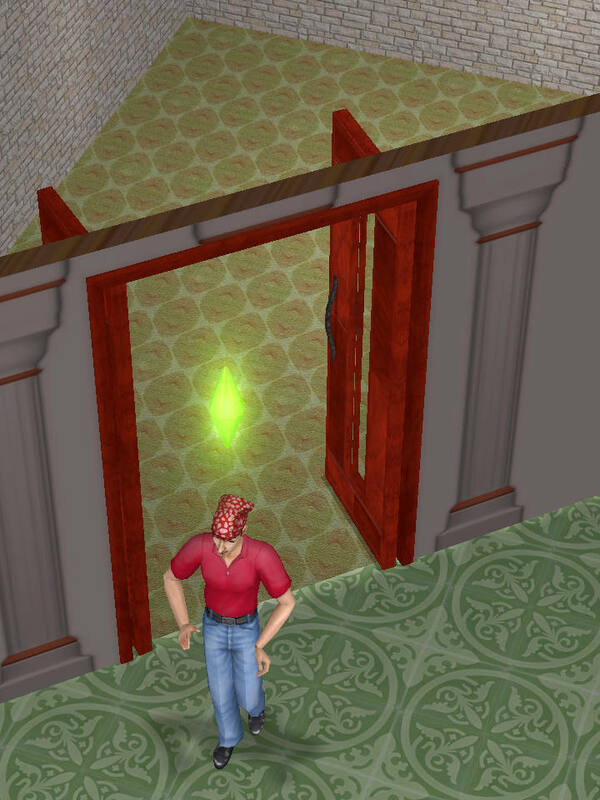 --Sometimes the Sim will walk through the door before it starts opening. 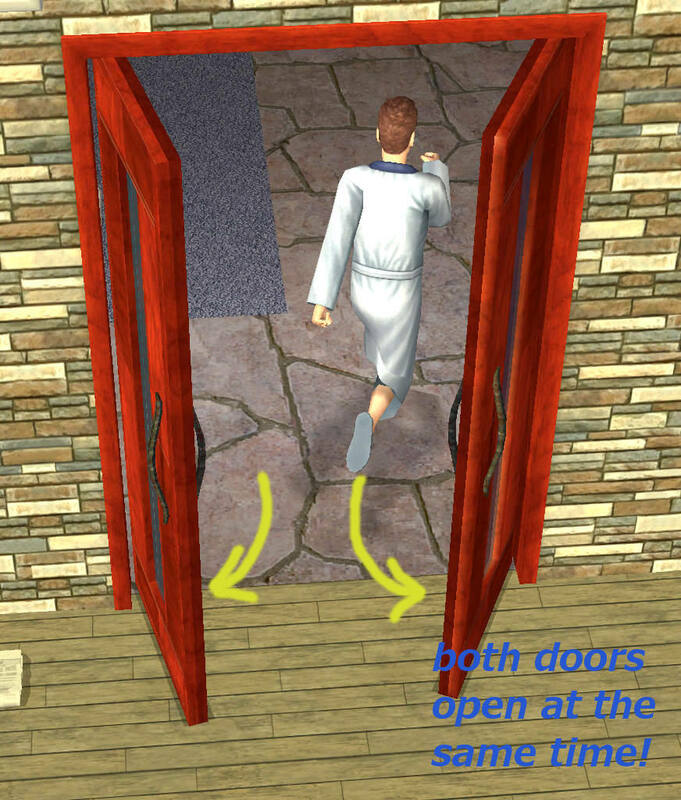 --Doors only open in one direction (North), no matter from which way your Sim approaches. Working on getting these animations split into CW and CCW separates to fix that. As mentioned above, big thanks to leefish for her invaluable help on this project, and I would like to thank the following giants whose shoulders we were able to stand on: WesHowe, Numenor, Jasana_BugBreeder, & Echo - for all their collected and shared knowledge, theories, and inquiries that were left in the threads and tutorials here at MTS. 43 people have said thanks to d4RE for this download.